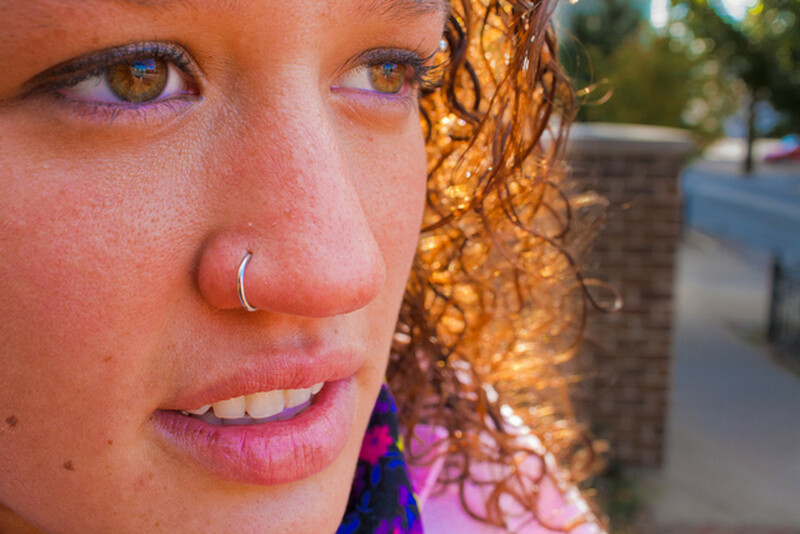 After ears, the nose is the second-most popular place to get a body piercing. A longtime presence in Indian, African, and South Pacific cultures, in the last three decades this small bit of body jewelry has gone from rare to nearly everywhere in the US and Europe. Yet, as prevalent as this piercing seems, it can be tricky to heal without complications and causes much debate in the professional working world. Noses allow for a few variations in piercing. It's cartilage, a tissue that is tougher to pierce and can be more problematic to heal compared to earlobes, which are soft. A simple stud worn in the nostril is one of the most common types of jewelry. This is the most common place for a nose piercing. The jewelry is placed somewhere along the rim of the nostril, either on the left or the right side of the nose. There is no significance or meaning to which side you get pierced; it's just your preference. Anything you hear to the contrary is just an urban myth. A ring or stud is best for starting but make sure the jewelry is not too tight if it is a stud. That can lead to healing problems. Below, you can see what it looks like to get a nostril piercing done. Note that no piercing gun is used. 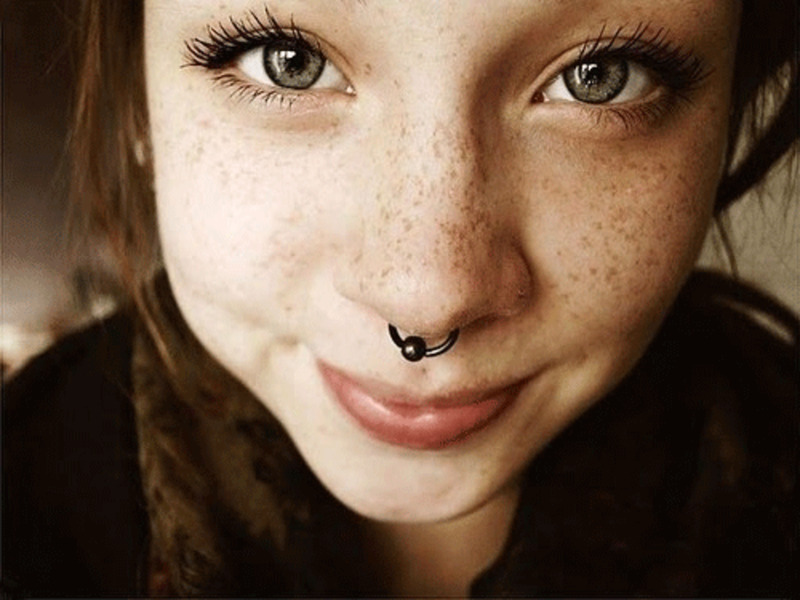 A septum piercing with circular barbell jewelry. These are placed in the cartilage wall between the chambers of the nose, at the bottom of the nostrils. It's sometimes called a "bull ring" as you might see cattle with this style of piercing. This spot can be a bit sensitive, especially if the ring gets snagged. 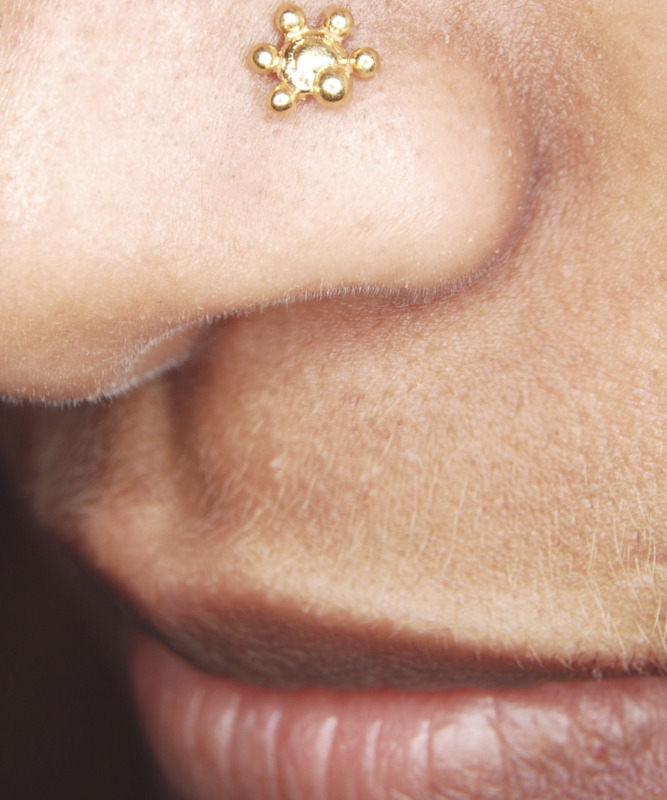 This is the only type of nose piercing that can be made completely and truly invisible. 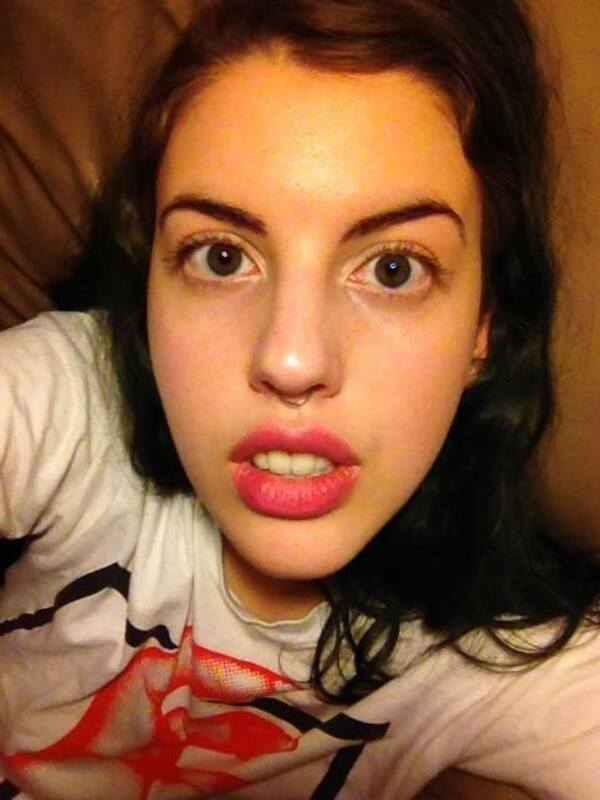 In the video below, you can see how a septum is pierced. Sometimes called an "Earl" piercing after the first man to get this kind of modification, this is done on the surface of the bridge of the nose, lining up between the eyes. This piercing can be very hard to heal and carries a high potential for rejection or healing out. You can see how it is pierced in the following video. 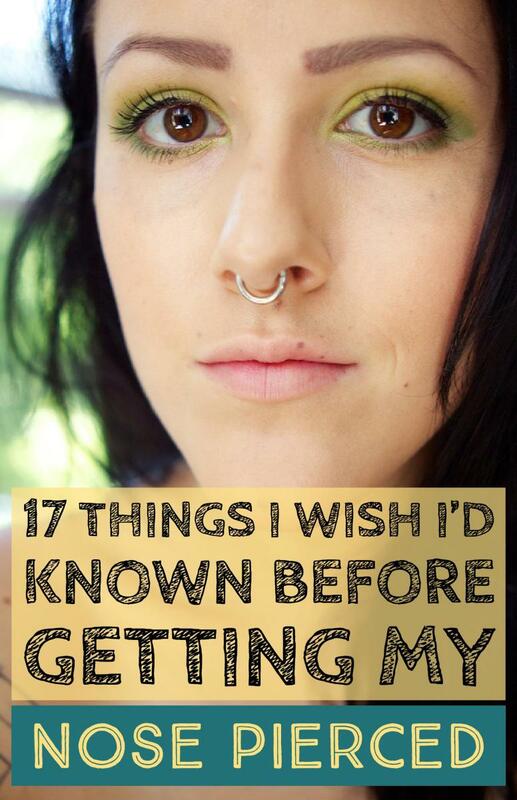 Sadly, a lot of people refer to any and all types as "nose rings," which is inaccurate. There are many different types of jewelry available, such as the following. Ring: Only circular barbells, loops, or hoops are really "nose rings." A tiny captive or fixed bead ring is very popular. Rings are the best option for starter jewelry until the initial healing period is over, as they make it easy to clean the piercing thoroughly and allow room for any swelling. Bone/Pin/Stud: This is a short post-style piece of jewelry with a small bead or decoration that rests on the outside of the nostril. Items described as "bones" or "pins" often do not have a conventional backing. Sometimes they are just a straight post, and sometimes the inside end terminates with a larger bead end. I get a lot of email from people complaining that bones are hard to get in and out and are painful to change. Do not get a bone when you first get your nose pierced. Essentially, you'll just wind up ripping it out later if you ever want to change it. Do not get a bone, pin, stud, or (as you will read about further down) spike when you first get your nose pierced. Screw: A nostril screw is a style of jewelry from India and has become very popular in Western piercing. It has a short post that then goes into a small curl. This curl works instead of a backing to hold the jewelry in place. A more modern variation on this style is the "L-bar," which has an angled straight piece on the inside end instead of a curl. 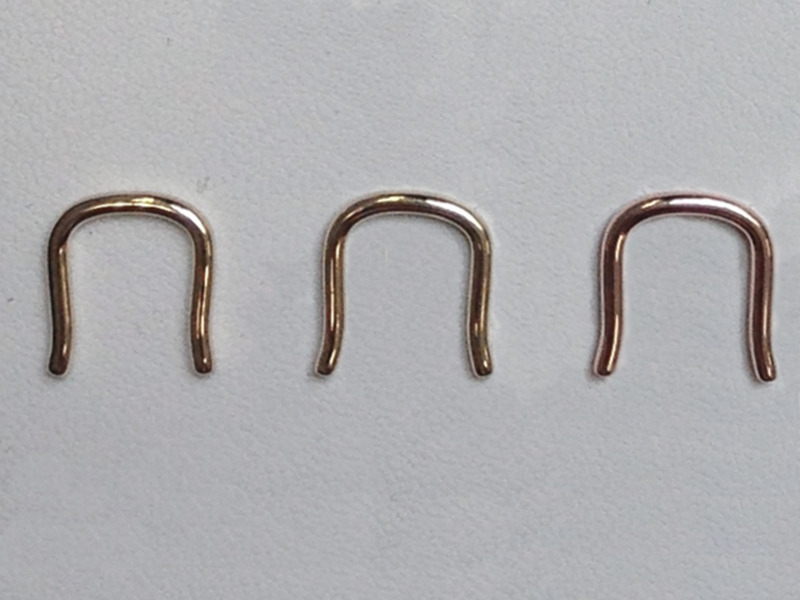 U-Bend: This is a jewelry option just for septum piercings. It is a small "U"-shaped piece that can be worn with the ends flipped up inside the nostrils, thus making the piercing undetectable. This is the only type of nose jewelry that can truly be entirely invisible. Spike: This is another jewelry option for septums, and sometimes bridge piercings. 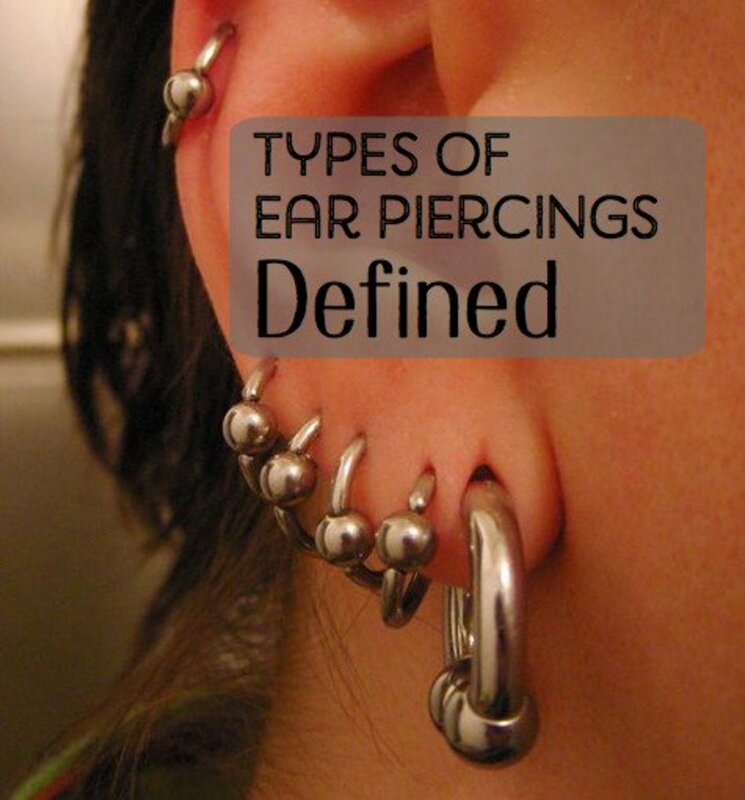 It's essentially a straight taper worn horizontally through the piercing, with pointed ends that stick out. Not for new piercings! Ask about what products to use for proper healing: Find out if the piercer recommends any special soap or aftercare product. Be sure to mention any allergies to ingredients or fragrances you might have. Ask how your chosen jewelry works, or how it goes in and out of your nose: Some people get pierced and then, months down the road, want to change the jewelry and don't know how. Your piercer should be able to easily show you. Ask about any medical concerns you have: If you are worried about colds, allergies, or activities, bring these up. Discuss aftercare. If your piercer tells you he or she they have an aftercare sheet to give you, be sure to go over it together before you sit down and get pierced. That way you can be sure you understand everything, and that way you don't forget after you are pierced since you may feel a bit lightheaded. And as with all body service situations, if you don't like the answers that you are given or feel like the piercer is blowing you off or treating you like you are dumb, don't get pierced by that person! Go find someone else with better training and a more professional manner. Do not get your nose pierced with a piercing gun! These were not invented for noses, and the jewelry used by these guns is very blunt and often way too tight. This increases your chances of infection, keloids (scar-tissue bumps), and scarring. But the really big reason not to go to a place that uses such tools is that the employees of these types of locations are not trained properly about blood-borne disease transmission, and the piercing guns are not sterilized properly in between customers to prevent the spread of HIV or Hepatitis C! Do not wear sterling silver or plastic in a new or healing piercing! Sterling Silver: When this metal tarnishes against unhealed skin, it can permanently stain the skin, leaving a black mark around the site that will never go away. I have no knowledge of any method for getting rid of the staining. New nose piercings need to be healed wearing stainless steel, niobium, titanium, or 14k gold. If you find out you have sterling silver in your new piercing, go see a reputable piercer and have them switch it out for a safe metal. Plastic or Nylon: Although hypoallergenic, these materials are porous, so they can absorb body fluids that can lead to infection. The plastic can discolor, and the jewelry can stick to the unhealed skin. Do not change your jewelry too soon! Noses take three months or longer to fully heal, and some people find that if they take out the jewelry sooner, the piercing collapses or closes down and they can't get any jewelry back in, thus losing the piercing entirely. Changing jewelry too soon can also re-tear the inside of the piercing and make you start the healing process all over again. If you have some sort of crisis with a piece of jewelry and really have to change it out, go back and see your piercer, who can swap the jewelry in a way that doesn't let the piercing close down on you. Do not use rubbing alcohol or hydrogen peroxide to clean your new piercing! They both can cause tissue burns and increase irritation, which slows down healing and increases the chances of scar tissue or bumps forming. Avoid swimming pools, hot tubs, and swimming in the ocean during the healing period. Chlorine and other chemicals used to maintain public pools are very bad for the healing tissues. Ocean water poses the danger of bacterial infection from pollution contaminants. If you exercise or sweat heavily, the toxins in perspiration can also irritate piercings, so be sure to rinse or wash off your face when you get done playing sports or working out. What Happens When You Take Out a Nose Piercing? How long after piercing do I have to wait to to take jewelry out temporarily? No clue. 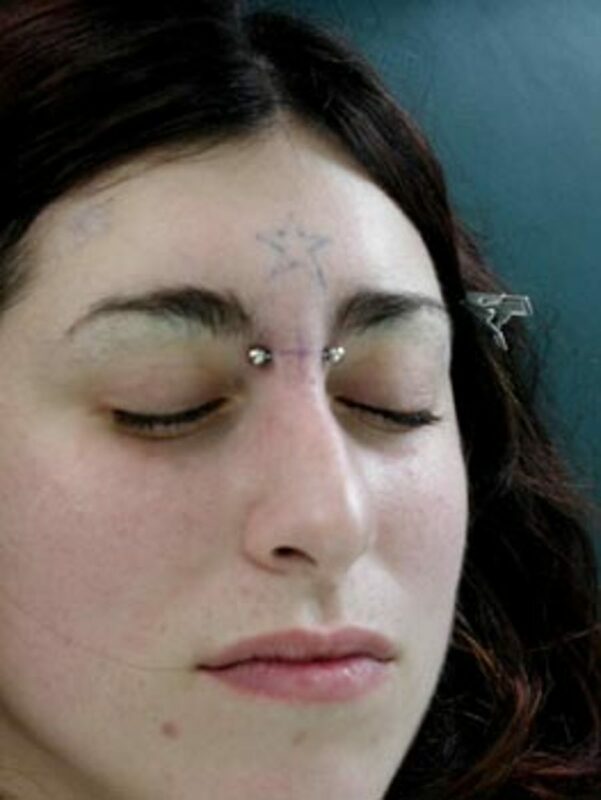 Some people's piercings are very stable after the initial three-month healing period, and some take much longer. There's no way to be able to tell when your piercing becomes stable. Some never do! Will the hole close up after I take out my nose ring? Mostly. No one can predict how your body will respond once you take out the jewelry, but the hole will probably shrink. You might wind up with a small dimple, or it might be barely noticeable. What happens if I take out my nostril or septum piercing before it's done healing? It will heal shut. You may or may not wind up with a mark or dent of some sort. I know this may seem obvious to some, but clearly, it's not to others, as I get asked this fairly regularly. My jewelry got accidentally knocked or pulled out of my nose, and I can't get it back in. What do I do? Many piercings close up really quickly if the jewelry comes out during the healing period. So that you don't cause too much trauma and wind up with scar tissue, it's best to let your nose completely heal before you get it pierced again. Take the Nose Piercing Poll! Do you think employers/businesses are over-reacting when they make people take out or cover their nose piercings for work? Yes, they are over-reacting. Nose piercing are so common now, they are no big deal. Your school or participation in sports doesn't allow it. If you think you are going to successfully take it out repeatedly while healing or somehow hide it and not run into healing problems, you are wrong. Your job doesn't allow it. If you think you can wear clear jewelry or cover it up, note that both of those things actually make it really obvious you have a nose piercing. You are worried about what it might look like later, or if you think you'll stop wearing the jewelry. The hole is about the same size as an ear piercing. Sometimes the hole stays open once the jewelry is removed, and sometimes it shrinks down a bit, but most often, some sort of dimple remains afterwards. If that makes you concerned, don't even go there. Statutes on tattoos and body piercing for minors, listed by state. Local authorities and piercing businesses may have their own regulations concerning age limits and parental consent. If you ask something that is obviously answered in the article, you'll be told to re-read that section. If you have a question about cost or pricing, go ask a body piercer, as only they know what they charge. Information will not be given on how to do self-piercing due to legal liabilities. I won't give advice on how to convince parents to let a minor be pierced. Go see a family counselor for help in dealing with those conflicts. If you are looking for info on healing or aftercare, see my article about Nose Piercing Healing Issues. So let’s say I do go into pools and oceans, when would be the soonest that I could plug my nose? Is the piercing supposed to be tilted or straight in your nose? I got my nose pierced 2 and half months ago. The first 3 weeks it seemed to be healing well. Then my daughter hit me In the nose by accident and day later I got a nose bump. I got it to go away within a week week and half. Then a few days after it had healed it came right back. For the past month it’s been a battle. It starts to go away gets small and then just gets big again and then just repeats. It won’t go away fully. I’ve tried everything I could find on the web. Sea salt. Tea tree oil. Advil paste ect. But nothing will work. I’m not sure if mayb the nose ring gauge is too big. Because I got my new one for when it heals and it’s an 18g and it looks way smaller than what’s in my nose. Someone please help!! I almost just wanna give up and pull it out. But I love it so much. Please I got my nose pierced close to month now. I don't know if it's infected or not.but I think the healing process is slow. A week after my piercing, I noticed some kind of a bump outside and inside my nostrils rounding my stud but I'm confused because the color is dark compare to that of a bump. OK I've tried sea salt solution, aspirin paste, warn compress but its seem not better. I'm beginning to observed some form of movement around my piercing region. And headache and pain is more civia . please what should I do.? I had my nose pierced 3 months ago.I was told to leave the titanium stud in until the 3 months elapsed.When i went to put the 14k bone in i bought the same day i got the piercing it was too short to go all the way through my nostril.How do i find out the length i need? I got my nose pierced a couple of days ago with a gun and it's currently a stud. If having a ring at first is better to for healing, is it safe for me to go and get it changed or is it way too early to even take it out at all? My nose screw came half way out during the night and cause a little blood when putting it back in what’s the best thing for me to do so it stops falling out ? I have been wanting a nose piercing for a while now and I finally got it done about 2 weeks ago and the gem fell out of the actual stud itself,is it safe to change the stud to the same shape that I’m currently wearing ( pig tail shape )? Please reply back ASAP. My 5 year old sister took out my nose piercing a day ago and it’s already healed.. Should I get it pierced again or should I wait longer? There is no open hole in my nose and it does not hurt or have a bump where I have pierced it. Is it safe to repierce it this early? If I take my jewelry out to clean nose and jewelry and then put it back in can my hole change or close up. So i had my nose pierced by my friend and she did it with a piercing gun and we didn’t have a stud so we used a hoop should i be able to move the hoop around? Had to take out my nose stud today due to my niece yanking on it and the throbbing not going away. After I took it out, I felt a very hard and somewhat painful bump at the piercing site. Also is visually red/purplish and is again very hard. basically, i should have waited to change my nostril piercing, i changed it from a stud to a hoop, the size of the hole has shrunk meaning i can no longer get the stud in, is there a size you would recommend getting, or is there just a one size fits all for studs? i go to this school where they dont allow nose piercings and i have already had it done. they wont let me put a plaster over the top of it or a retainer as its not part of the school policies. They have made me go inside the conciquence room/ isolation room. if you dont know what that is its just a room with a bunch of other misbehanved children and you stare at a wall all day with black walls surrounding you so you cant turn around or see other people. it has been 2 weeks since i have got my nose pierced and i have been inside of this hell for 2 weeks and counting. luckily today is the last day because then it is a school holiday for 1 week and i am going on holiday and wont come back on the thurstday so i will miss most of that week of school off. by then it would had been 4 weeks and my piercer says that i can change my stud between 4-6 weeks. i originally wanted to wait 6 weeks so then i know it is defonetly healed. but because of school i have to only wait 4 weeks and i am scared that it wont be healed and i will have to keep on taking it in and a=out durung school and im scared that i may cause an infectoin. I got my left nostril pierced and i am wearing a stud rn. My nose stud wont fall , wud it, if i run or wash my face with water or sleep on the left sid???? I want to do a side piercing but accidentally got a middle ring can i still use the ring in the side? Is the l shape stud possible to take out after a few weeks of having the piercing? I got my nose pierced and I currently have 22 gauge L-shaped jewelry in in. I've had the piercing for 3 years. But I used to wear studs, and my hair would constantly get caught in it and pull it out, and I recently lost my only stud because of that, and it was a 20 gauge. Will this jewelry I have in now rip my nose if I accidentally pull it out? Hi I'm just wondering as I really want a nostril piercing but my school won't allow them it's the summer holiday soon and I have 6 weeks off from school could I get it done over the holiday and then put in a clear one when I go back to school ???? I got my nose pierced 4 weeks ago and my nose bleeds from the top and the bleeding is awful it's a constant drip. I have cleaned it with dial soap and hot water with a qtip just like my piercer said and it still bleeds constantly. Recently I noticed that on the inside of my nose there was a bump. So I took my nose ring out and tried to put a new one in and my pierced said I could on week 4 and when I tried I was in so much pain and could not put one back in. What do I do bc I am not going through this pain again. I got my nose pierced with the needle and I got a ring in February towards the middle and it has been good for awhile then all of a sudden I wake up to it half way in my nose and halfway out the ball is stuck and I been deciding if I should go back so they can pierce it over or let them take it out so it can heal then get it pierced over ?? Hi , I got my piercing on the 25th of March , I didn’t want it I was bullied into it by my little sister and my sister in law , so I thought when they left I can just take it out , so I did on the 27th. My nose is unbelievably sore , it was when it was still inside aswell. I think I might have an infection but not a serious one, because there were very little puss . But now my nose is fine on the outside , but on the inside it’s so swollen I can almost not even put my finger in it to lift it up to see whats going on there. Its very sensitive when I touch it , I’m a tough girl but I want to cry whenever my dog accidently jumps on me and touches my nose… I need help fast . please email me annericroucamp@gmail.com for any advise. It almost feel like a cold sore. Its hard. i'm a big sneezer and often get runny nose but i always wanted to get my nose pierced. should i go for it? I got my nose pierced using a bone & it healed just fine. Ive had it for 12 years now. What happens if you accidentally have a screw nose Piercing and the screw comes out what do u do? When I had my ears pierced, I was told to keep turning them whenever I cleaned them. Is this the same for nose studs? I got my nose pierced a few days ago and I pulled the ring a little too far out and now the hole is stretched so the gem sits in my skin, how can I fix this so the gem sits on top of the hole like it properly should? In part of the article it mentioned something regarding your age. Is there an age restriction, I am older and was just curious. I got my nose re-pierced about a week ago in the same spot I had it before. Knowing the experience already, I changed my nose ring about three weeks into the healing process and was fine but a little sore a time first. Knowing how my nose felt when it was fully healed is about the same feeling of how it feels now, do you think it'll be okay for me to change it? So I got my nose pierced literally 1 week and 1 day ago. My work all of a sudden wants me to put a clear one in. I have 6 weeks off for baby bonding, can I put a clear one in before Feb 20th or should I have my piercer put one in so it doesn't close??? I got my nose pierced 2 weeks ago and start school tomorrow so I have to put a clear plastic stud in, otherwise I'll have to remove the peircing completely. What should I do? I've been wanting to get a nose ring since I was young, but I have really low pain tolerance. I badly want one, but I'm afraid the process will hurt a lot. Do you have any advice on whether I should get one, or when? 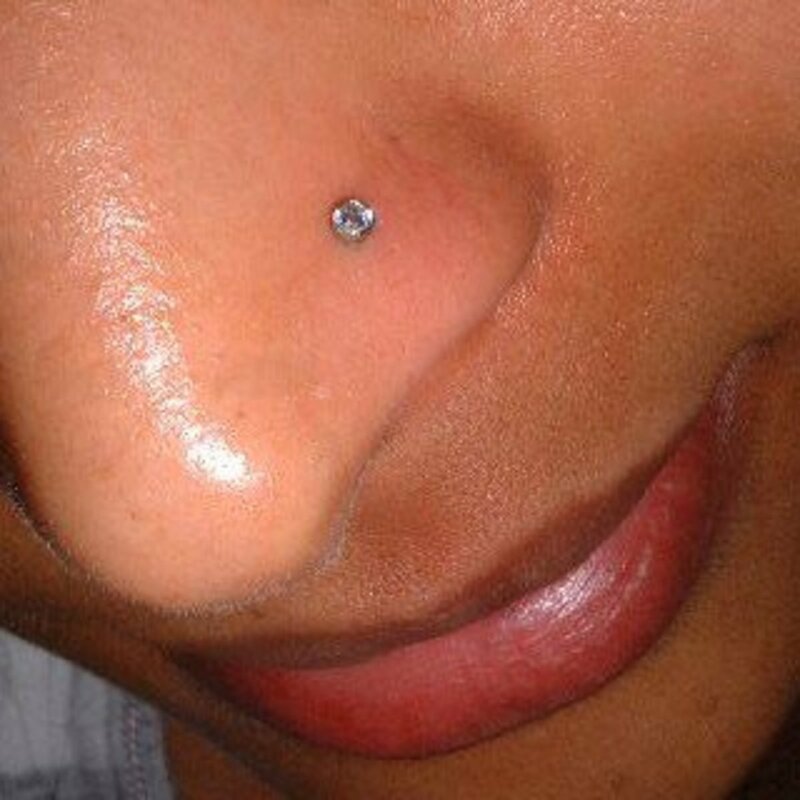 want to have a nose piercing with no hole on my nose, where can I find this kind? Hi, so i'm getting my nose pierced this Christmas and I've heard that its really easy to get keloids from it. I was wondering if there is a way to prevent that or if its just how your body reacts to it? I took my corkscrew piercing out after 3 months and could get it back in. Eventually I put in a nose bone stud. It went in fine (touch of pain) but when I feel inside my nostril I can't feel the metal til very well at all. Is it possible that it has actually healed over even though I have got the stud in? So two months ago I decided to go to get my septum pierced after thinking it over for five months prior. However, when I went to get my piercing, the person looked up my nose first. I know that sometimes they check to see if you have a deviated septum, however, I do not have one. The person straight up told me "NO" because I apparently have a cluster of veins in the sweet spot where I would've gotten the piercing.. I was quite upset over that and tried to see online if anyone else has been rejected from a piercer for having the same thing, but I could only find people who were refused over deviation. I was just wondering if that is actually something that can be said "NO" to... or if the piercer simply just said "NO" out of some form of inexperience, or lack of knowledge. Hi, I'm looking into getting a nose piercing however I had my ears pierced (Just the lobe) and it rejected the piercing for 5 years, scabbing was present and sometimes pus. I kept it out for five hours over night and it closed up. Do you think that my body will reject a nose piercing? Should I go for it anyway? Thanks! I got a nose ring with a gun the ring they use were the normal once they use when you first get a piercing. But I wanna change it to a smaller ring but this one kind of keeps coming out. I just had my piercing for a month. Will it continue to heel and if so will the whole get smaller? My glasses have knocked my nose piercing out twice now, will this set back my healing time? This time, my nose actually bled a little so that worried me. I made sure to clean the piercing and my nose before I put the stud back in. I've had my nose pierced for almost a month now, should I wait another three months? I got my nose pierced in june of this year,my job now all of a sudden says im not allowed to work with it in and its now october but anyway i went to go take it out yesterday so i could return back to work,i was wondering if there is anything i need to do after the fact that i got it out. Katie, talk about placement with your piercer. They should check your nose by hand to feel for scar tissue and check with a flashlight to map any blood vessels in the area before deciding where to pierce. Megan, anyone who snags thinks whatever they were wearing at the time was the worse option. I have no collected data on pulling out nose piercings. i had my nose pierced for 7 years when my job made me take it out. it's been 6 years without my nose ring, but i am leaving this job and i want to get my nose re-pierced. i have small mark where it used to be- should i have them pierce through that same spot? are there any issues i should be aware of? I was just curious about what type of ring is easier to pull out when it gets snagged on something. I have a hoop in now but I usually wear a bone. Is the hoop easier to get snagged or is the bone? Emily, infection risk will vary a lot with people's care routines. There are no stats that I know of which pinpoint one particular moment. Nur, I have no way of predicting how your nose might heal now, but every time you change jewelry sizes, you are stretching the hole and then letting it collapse again, and that can't be good. Bookaholicpr, as written in the Hub, I advise a ring. I've been looking into getting a nose ring for some time. I ask which one would be more recommended, the stud or ring? I'd read that the stud is more recommended because the ring usually snags in places. But here I'm reading the opposite. Any information on this would be useful. After you get a nose piercing when are you at the highest risk for an infection? Luiza, you very clearly need to see someone in-person. Whether you try a doctor or another piercer is up to you. I've had my nostril piercing for 7 months now and have changed my piece of jewelry thrice since the beginning (because each piece got knocked out somehow). I started with 18K gold nose stud, then switched to 22K gold stud and later 22K gold ring. The hole was getting smaller in the ring so i now switched to the initial 18K gold nose stud. Is that ok or will the healing get worse with this change from 22K to 18K? Lila, I don't suggest that people who are really scared get pierced at all. There's no reason to rush if you are uncomfortable emotionally. Take the time to learn more about how he parts you don't understand work, like how piercings are done or how to care for them, and you may change your mind with time. It's better to not do it if you are scared. Allison, if you have a metal sensitivity, your entire body is going to have it. Reacting to metals is different from infections, although both feel uncomfortable. You might want to see an allergist so you can learn exactly what you react to, and what you can tolerate. I want to get my nose pierced but I'm scared if it's going to hurt and also I'm scared if it gets infected because I can't wear fake jewelry, is the jewelry different than regular ear piercings? Carol, if the "clear thing" is plastic, the answer is no. Plastic reacts terribly with healing piercings, and you should avoid that material until fully healed only. Nicole, a healing piercing has different cleaning needs compared to healed piercing, and it needs room to swell and drain. Also, the metals which make the truly tiniest jewelry are not safe for healing, specifically sterling silver leaves permanent black marks in the skin if worn while healing. So to answer your questions, yes and yes. Nguyenenthanh, I can't understand what you mean by a higher nostril piercing and a regular one. You have not included any description of what you mean by each of those terms. Sam, from what I understand about MMA fighting, no matter what you wear in the piercings, you are going to risk of snags and impacts to the piercings. I would not recommend piercings of any sort to anyone who was going to be in regular combat situations. Hello, I have a nose ring, and I went to a piercer last week to try to remove after wearing it for almost a year. The piecer put all the strength he had, and I tried as much as possible to endure the pain.. but he just couldn't even move the ring from the position it was in. It was legitimately stuck, and I've tried all I can at home to make my piercing move again but its' been impossible! I am desperate.. should I go to a doctor and try to remove it there?? I had my ears pierced about 5 years ago and had to stop becomes my ears reacted with almost every metal. If I get my nose pierced will it be prone to infection as well? hi, I'm getting my nostril pierced soon but my school only allows those clear nose piercing things. I have under a month before school starts and I was wondering if I would be able to change my stud to a clear one in under a month? Or even get my nose pierced with the clear thing? Sorry for the long question and I don't have a lot of expirience with piercings! Hahaha! Mattanikka, this is one of those situations where you need to go right to a doctor or piercer and get help, and not ask for blind advice off a website. You do not want the barbell is be healed under the skin or get infected. Zainab, pierced noses swell up, which causes the jewelry to sink in further, and the bleeding is because it's a fresh wound. The more you touch and play with the jewelry, the more you can irritate the healing piercing. Pumbaskunk, I can't predict how your body will react, but there is no reason to suspect you will not have the same reaction. I personally recommend that people with bad rejection issues just not get pierced. Rena, debates between parents and children about nose rings are values conflicts, and I can't step into those. Dangerous depends on how that is defined. Mostly not is pronpbably the best gauge of that. Is it a big deal? I suspect to your mom, it is. I had my nose pierced a few years ago and it closed up. I would like to do it again, however the last place that did it said he had to use a larger stud at first then I could go smaller when it healed in 6 weeks. Is that true? Can I not have my nose pierced with the smallest stud possible? I'm going for discrete. Hi, i was wondering the healing process for a higher nostril piercing any different from a "regular nose/nostril piercing? I got both my lip and nose pierced almost 6 months ago and I just signed up for MMA classes. My instructor wants me to take them out, but I was wondering if I you think it would be alright for me to use the monofilament line to keep them open during practice? Class is only an hour and I change my piercings out all the time for work. I know that everyone heals differently, and I feel like I would be alright to leave them out for an hour, but I'm easily paranoid. I can't have earings in my cartilage because my ear rejects it, i am getting my nose done on Friday will i have the same problem with my ears or will it be different? I got my nose pierced less than a week ago and my stud seems to be sinking. If I push it up it bleeds and then sinks again. What is wrong? What should I do? 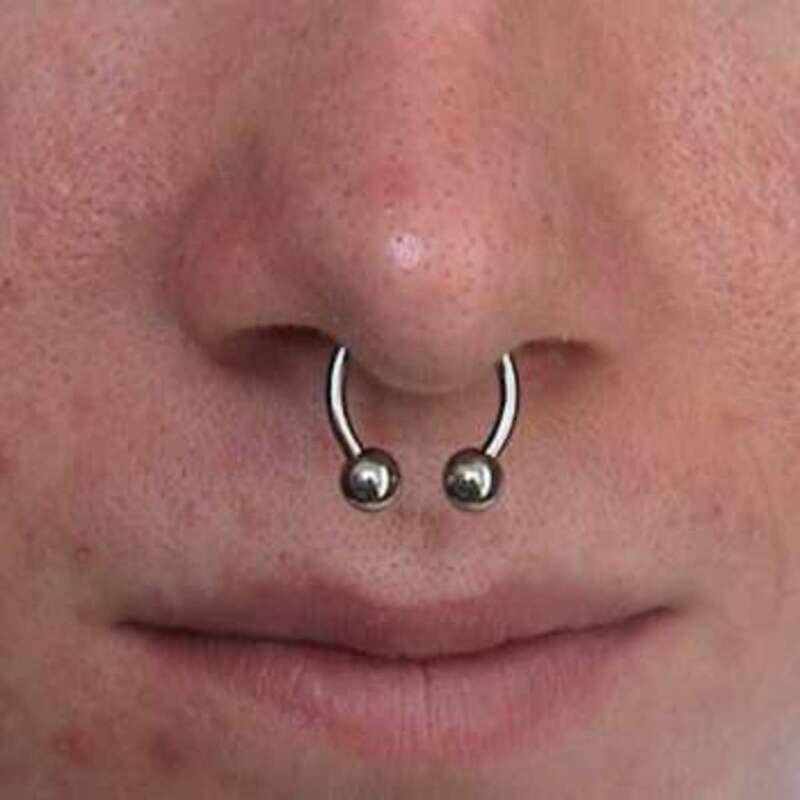 I'm 15 and I live in a country where the majority of the kids my age have nose rings and I'm trying to convince my mom to let me have one too. Is it dangerous or a big deal? Faye, I can't make any predictions about your nose closing up, but if you can get some monofilament (nylon) line, that's been a time honored way to keep a piercing open in an emergency. I lost my nose stud in my sleep it's been pierced for two years but I have no idea how fast it will close up or how fast I can get another one. So my question is when will it start to close and is there anything I can use in place untill I'm able to get another one. Anaya, the old piercing could take weeks or months to disappear, I have no way of knowing how your skin heals. You may just have to wait and see yourself. Ive pierced my nose 2 mnths before.nw i feel the position is wrong as i was done it so quickly while i gone to kerala for vacation.i need to pierce same side again bt little bit upper position.is it posible.does the old mark go soon? Jenni, they want all metal off your body for surgery. Many people find that putting a small loop of monofilament line into the piercing will keep it open during the hospital stay. Good luck with your surgery and your piercing. I have to have surgery next week. I have had my nose pierced for 6 weeks. The hospital is most likely going to make me remove it during surgery. Is there something I can put in there to keep the hole open. Alex, as the person not connected to the nose in question, it's not my decision to make. You can both see and feel the piercing, which gives you the best info to decide. I can say that switching to a hoop will cause the piercing to get moved around more. Hoops do all sorts of stuff when people are asleep, so that's something you need to really consider. Hey I got my nose pierced 3 months ago and was wondering if its ok to change the stud to a hoop. About 2 weeks ago I got one of those weird red bumps around it that is caused by it being moved too much; but it went away about 6 days ago. There was still some dry stuff around the bottom of the jewel that would appear every few hours or so but has gone away now and it has looked fine and normal colored for the past few days now. Do you think it's safe for me to change my ring or should I wait longer? Krysta, not a super-weird question. However, I think the nasal cannula will push on the healing piercing and mess with it, which can be painful and lead to scar tissue. I do not think a piercing would mess with your air flow, but friction and bumping of healing nose piercings makes the piercings incredibly problematic and unhappy. Nose piercings, being in cartilage, and in our faces, are super challenging for some individuals but I don't think they get infected at a higher rate just for being in noses. People who don't want to have to adapt to having a piercing have the most healing issues of all. Seb, whenever I stretched anything other than ear piercings, I went to a professional piercer and had the piercings gauged up by them. I do not recommend making more than one size change at any given time as skin tears are horrible and set you right back to square one with healing. Hi, I got both my nostrils pierced about 4 months ago with a 22g needle. I want to stretch them to 18g now. How should I go about this? Should I get a taper? I feel like a taper would be too long to fit in my nose but I don't know, I'm not a professional. Thanks for the help! Avanti, as it is not my pierced nose, i can't evaluate what's best. Take it day to day. Your piercing is definitely vulnerable, being brand new. Sweat does carry toxins, and it can irritate the heck out of fresh body art, ink as well as piercings. What you do is up to you to decide. Hi! I just got my nose pierced today, is it safe to start exercising tomorrow or would the sweat irritate the wound way too much? Niko, the person who gets to decide what looks best on your face is you. As I have no idea what you actually look like, I am going to respectfully decline to advise you on your appearance. Hi! I'm considering a nose piercing, but my nose is bent (like a roman nose, except my nose is smaller in comparison) and I was wondering if there's a particular piercing that suits that kind of nose? Thanks! Najona, there is a chance that your piercing will close if it is still healing, or recently finished healing. Sonia, the whole reason that people wear jewelry in piercings is so that the puncture wounds heal open, round and visible. Does that answer your question? Uma, nose piercings do not "season" in English, so unfortunately I do not have an answer for you. Watch our for infections, home piercings have an incredibly high rate of infection issues.